It’s been a busy two weeks since our last report, lots going on in the Fraser Valley and Vancouver Island. 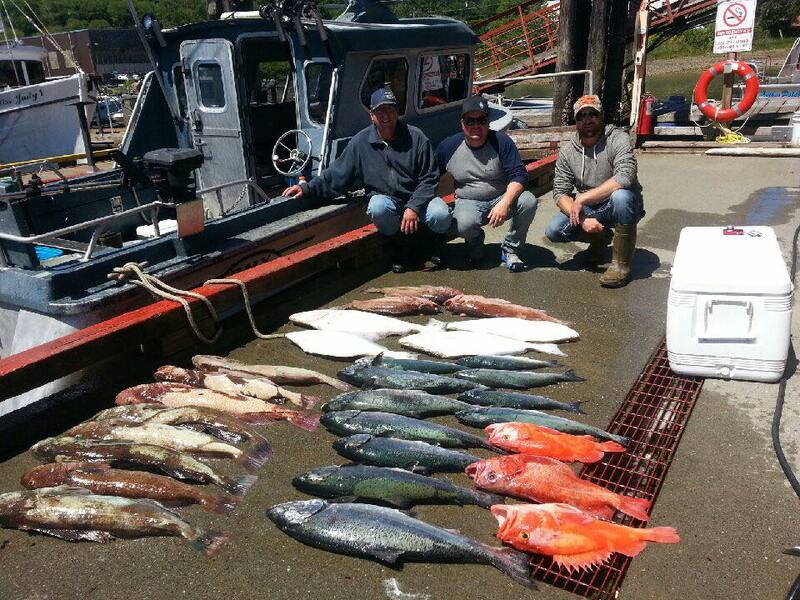 Despite the fires burning throughout British Columbia, the fishing remains excellent. We have been targeting sturgeon on the Fraser, Salmon and Halibut on Vancouver Island and Trout on the Upper Pitt River. All of these fisheries are producing great results. 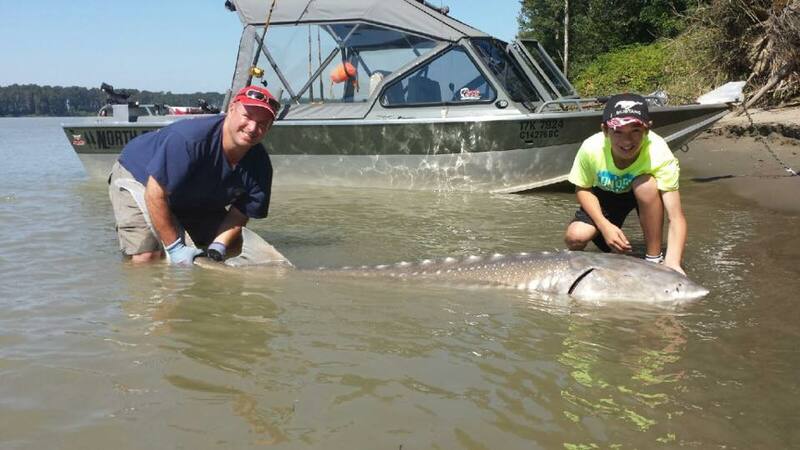 This Monster sturgeon measured 9ft7 and was caught just 100 meters from our dock in Mission yesterday July 6, what a beautiful fish. With low snow back this season the river is already in great shape, we have started up our canyon fishing adventures one month early and fishing has been very good. August through to middle of November is peak timing for sturgeon fishing and with the predicted 16 million Pink salmon returning late summer, we should have another spectacular season on the water. 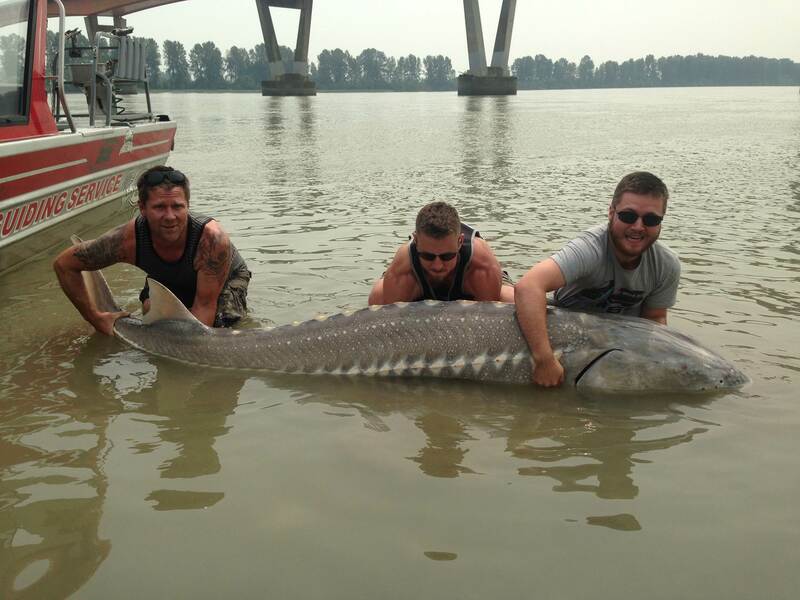 16 Million Pink Salmon and 6 million sockeye are expected to return to the Fraser river this summer, Summer & Fall Sturgeon fishing should be excellent with all this bait in the water. We still have some great dates available for both September and October so please give us a call if you would like to get out with us. The STS team is ready for the season and we look forward to another great year on the water. All packages include accommodation, breakfast, catered lunch, full day of guided fishing, all fishing tackle and private guide and boat for each group. We do not mix groups so all packages include private guide. All Prices are per person in Canadian Dollars, Fishing License, 5% tax and Gratuities are not included. Gratuities are not mandatory but appreciated. 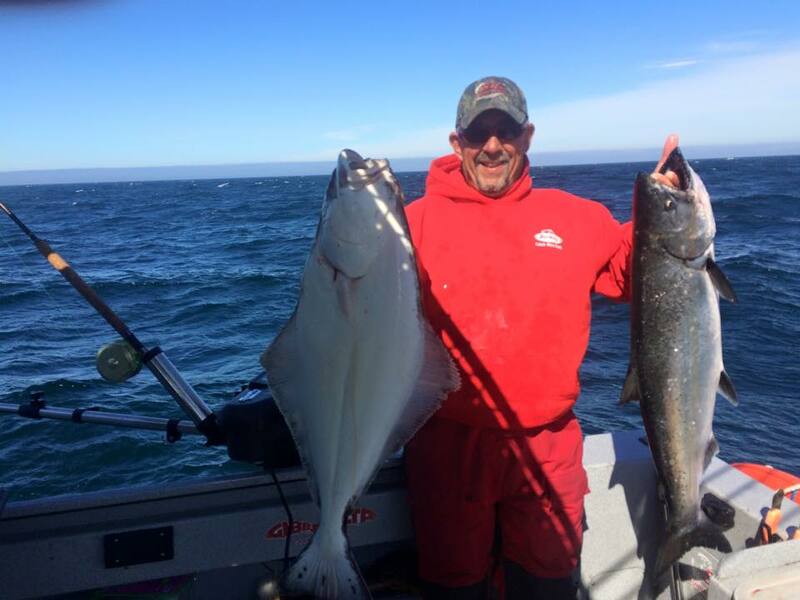 Our West Coast Salmon and Halibut Charters are already up and running, I just returned from 3 days and wow fishing is hot. 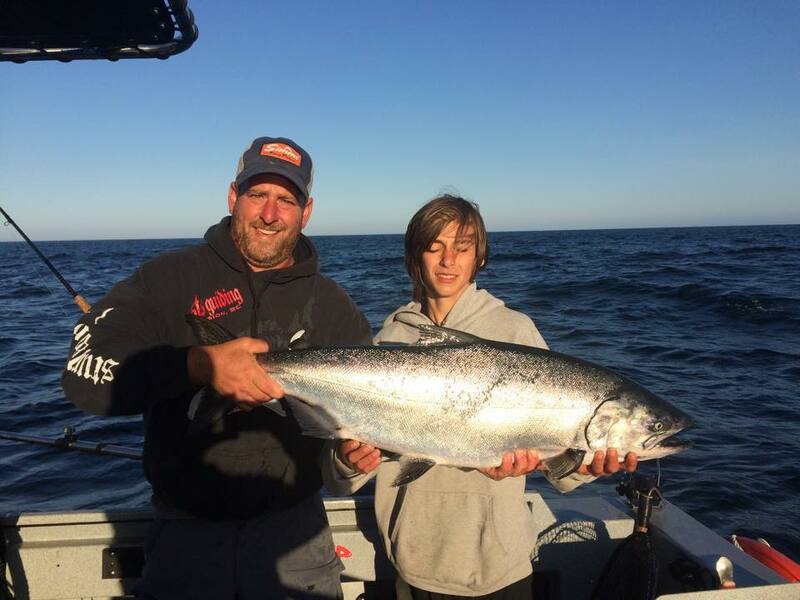 Lots of Chinook, Coho, Ling Snapper and Halibut to be caught with generous limits for each angler. This fishery is best in July and early August, we still have 2 dates available for July if you can do a last minute trip. Shoots us an e-mail for available dates, best west coast rates in the region. If you can’t make it out this season, we are now taking booking for 2016. All packages include accommodations at either Whales Reach Lodge or Kagoagh Lodge, breakfast, lunch & dinner, full days of guided fishing 10 hours per day, all fishing tackle and private guide and boat for each group. We do not mix groups so all packages include private guide. This 28lb Chinook was caught a few days ago, Kagoagh Lodge deckhand Alister with his largest ever Chinook. Yes I am still at it, although Thomas is doing most of our guiding on the West Coast, It’s my happy place so I would be thrilled to join you for a day or two. 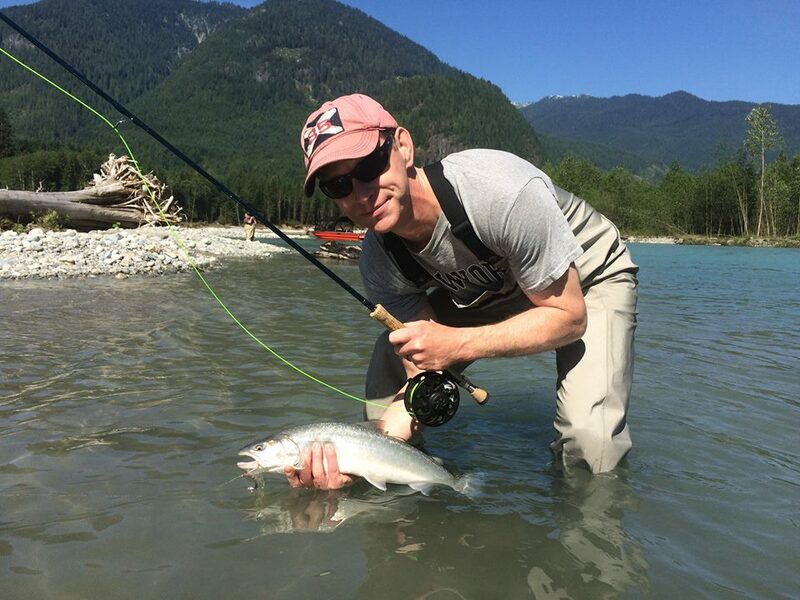 The Upper Pitt River is still fishing very well, we expect this fishery to continue well into August. Water is low this season so a maximum of two anglers per boat will be implemented to allow for safe navigation of the river. This fishery is the only fly fishery in the region until the salmon fishery begin in August, lots of great fishing and wild life viewing opportunities. 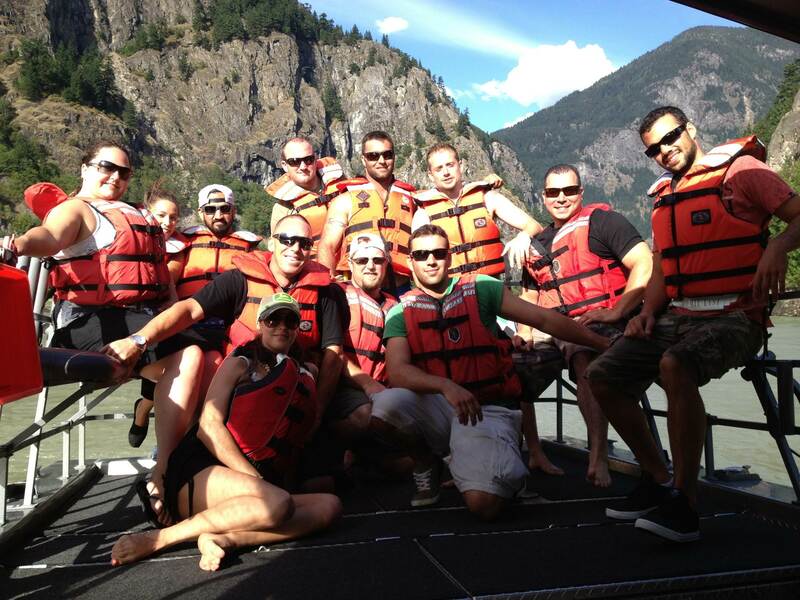 Due to low water our Fraser Canyon Adventures and Hells Gate Tours has started up one month early. We have a few dates still available for weekends in July and some weekday trips in August and September. Come join us for another great year on the Water. Have a great summer, hope we see you on the water.